Another clever music video from An Innocent Man. "They say justice is blind. I sure hope it ain't deaf." 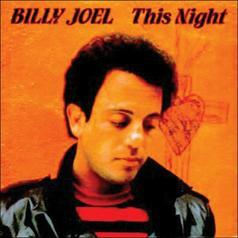 © 1983 Sony Music Entertainment. 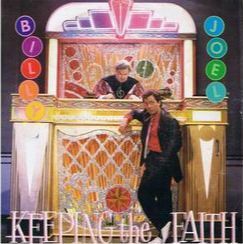 The last song on the album is "Keeping The Faith" which wraps up Billy's homage to the music of the 50s and 60s. 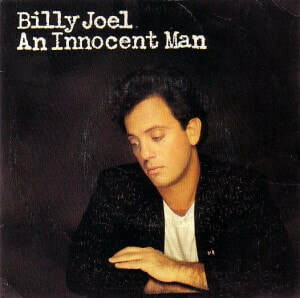 Musically I used to think the song did not resemble or recall any particular pop style or artist like the other songs on An Innocent Man did, but it had another infectious melody that you could not get out of your head. The song has a herky-jerky beat and is accented with horns throughout. It's not quite reggae or R&B. But apparently the rhythm was inspired by Betty Wright's 1971 R&B hit "Clean Up Woman." 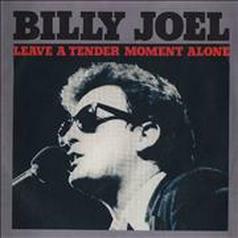 An eagle-eyed YouTube viewer noticed that in the music video for "Keeping The Faith" (at 0:46), Billy is spinning a 45 single of "Clean Up Woman." Ah-ha! Clever. "Keeping The Faith" always reminded me of Stevie Wonder's "I Wish" as they both have a bouncy beat, beefy horns, and both songs' lyrics recall the days of the singers' wild youths. Stevie sings about "sneaking out the back door to hang out with those hoodlum friends of mine," while Billy sings "I'm not ashamed to say the wild boys were my friends." 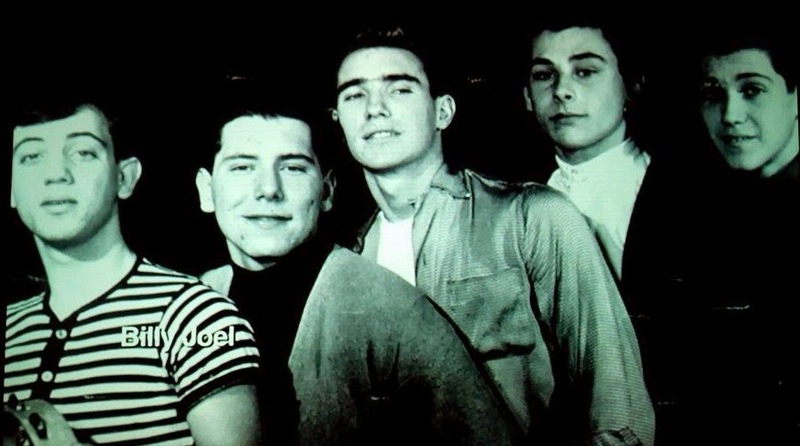 "I'm not ashamed to say the wild boys were my friends . . ."
Billy fondly reminisces and gives colorful details about his youth growing up in and around New York in the 50s and 60s. He refers to the West Side Story "wild boys," the "matador boots," old man's "Old Spice after shave," and "late night drive-in food." His use of popular brand names like "Old Spice," "Flagg Brothers," and "Chevrolet" is reminiscent of some of the works of poet Frank O'Hara such as in "The Day Lady Died." The technique serves to ground the work in a particular place and era, while at the same time conveying a sense of wistful nostalgia of an America on the upswing. And through it all, it was the rock and pop music of the time that was his salvation. 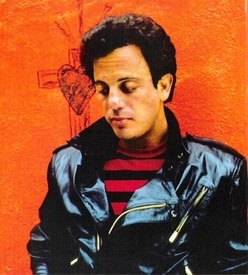 That is why he is now paying homage to that music, he is keeping the faith. Few artists have crafted such a loving tribute to the music of their youth. 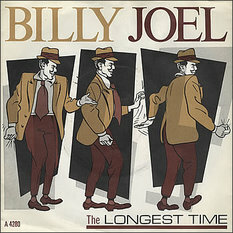 But Billy also realizes that it's just nostalgia and one cannot "crawl back into yesterday" like the person he spoke to in "All You Wanna Do Is Dance" from Turnstiles. As Billy says in "Keeping the Faith, "[y]ou know the good ole days weren't always good, and tomorrow ain't as bad as it seems." Say goodbye to the "oldies but goodies"
Billy on "Keeping The Faith" from SiriusXM. The music video to "Keeping In the Faith" was another clever one. 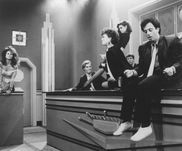 In the video, Billy is on trial for some undefined crime, perhaps for putting out this retro ear candy in the midst of the "cutting edge" new wave and punk era. He approaches the judge's bench and says in a thick New York accent: "you know your honor, they say justice is blind, I sure hope it ain't deaf" (Billy could have been Joe Pesci or Ralph Macchio in My Cousin Vinny). 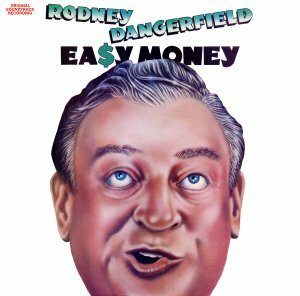 And then he puts a large quarter into the judicial bench which is configured like a large colorful jukebox, and launches into his defense, the song. ​ During the video, Billy recalls the music of his youth as a parade of musicians and other characters dances around him. He is seamlessly transported back and forth from the lively courtroom to various scenes from his teenage days, and back again to the courtroom where he continues to sing his defense. 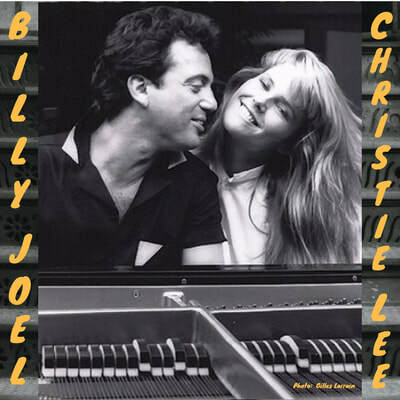 There are some nice moments in the video like the strain of "An Innocent Man" being played in the background at the beginning of the video, or the brief moment when Billy conducts the horn section during the musical bridge and twirls his baton, or the loving glance that Christie Brinkley and Billy share near the end of the video as everyone spills out of the courtroom in song. ​ Let's face it, whether you like Billy Joel or not, or whether you like An Innocent Man or not, you can't help but smile at this video. 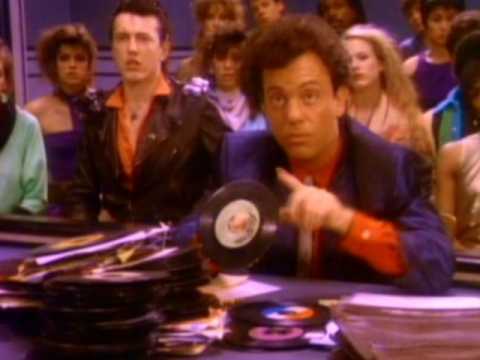 Even the now-dated cameo by comedian Joe Piscopo at the end is not enough to detract from the video. "Keep the faith kid," indeed. (Note: Comedian Richard Pryor makes a cameo appearance at the beginning of the video). 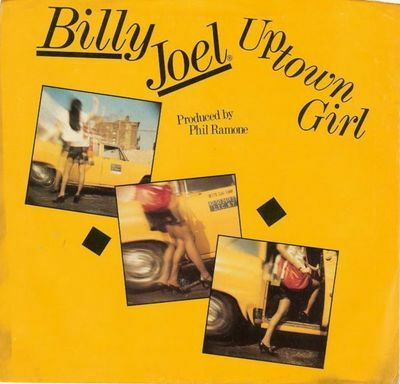 ​ An Innocent Man may not be your type of music, or you may even dread hearing "Uptown Girl" since you heard it a million times in the 80s, but stop being so cynical. There is no need to be cool or cruel, "you can dance and still look tough anyway." 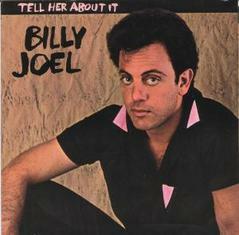 After all, some cover bands only strictly do 1980s Billy Joel music. Just enjoy, listen to an old 45 from your youth or other happy time, and remember, ain't it wonderful to be alive when the rock 'n' roll plays, when the memory stays, and to be keeping the faith. Here is a live version from Billy's appearance on the CBS Today Show in 2005. Thank you 333shouichi for posting. 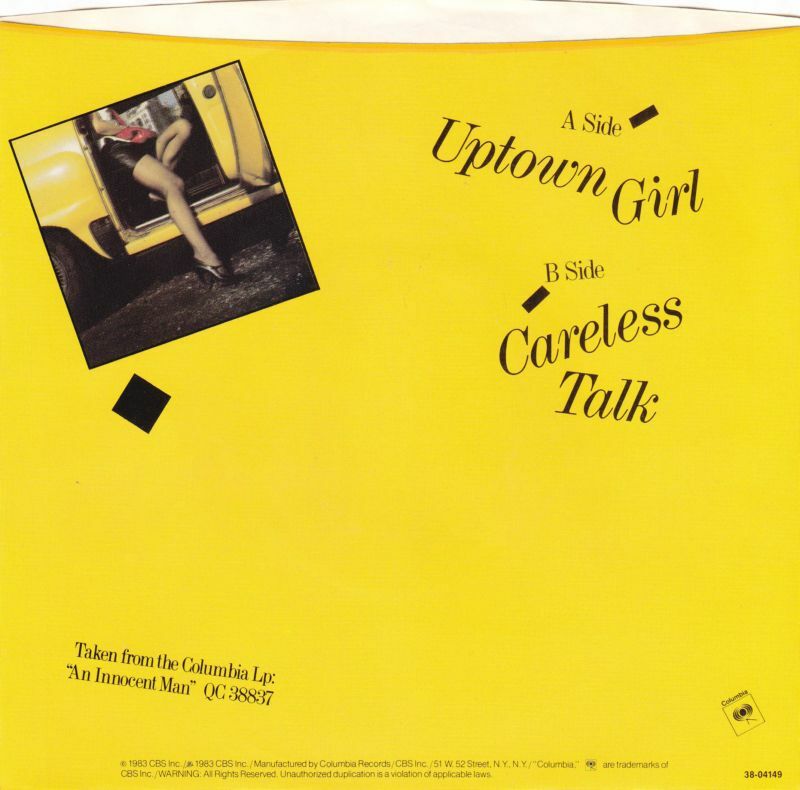 Christie Brinkley as the "red-haired girl" in the video. From swimsuitologist.blogspot.com. Spinning a 45 (Betty Wright's "Clean Up Woman").